The firearms and content in Vickers Guide have been sourced and curated by Larry Vickers – twenty year U.S. Army Special Operations veteran and combat marksmanship instructor, 1911 custom builder, and firearms industry consultant. Larry Vickers is a retired U.S. Army combat veteran with years of experience in the firearms industry as a combat marksmanship instructor and industry consultant. Larry Vickers’ background is one of the most unique in the industry today. Having spent over 20 years in the U.S. Army (the entire time in Special Operations), the last 15 years of which were in 1st Special Forces Operational Detachment – Delta, commonly referred to as “Delta Force”, he has been directly or indirectly involved in the some of the most noteworthy Special Operations missions in recent history. He participated in Operation Acid Gambit – the rescue of Kurt Muse from Modelo Prison in Panama City, Panama, and also saw service in Desert Storm, Somalia, Bosnia and other locations on operations and activities which remain classified. 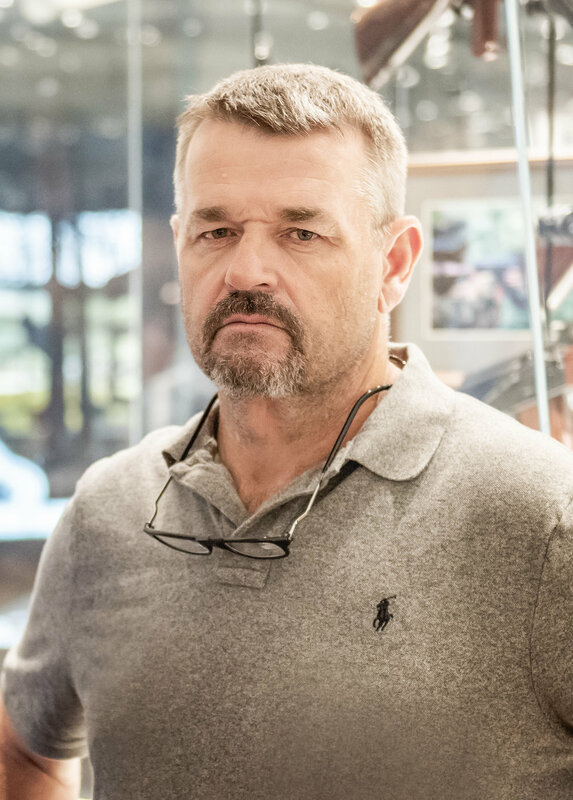 Larry Vickers served as a combat marksmanship instructor for new operational members of Delta, during which time he trained more Delta and Tier One operators in combat marksmanship skills than any other person in U.S. Special Operations history up to that time. As a tactics and marksmanship instructor on active duty, he helped train the Special Operations personnel who later captured Saddam Hussein and eliminated his sons Uday and Qusay Hussein. Larry Vickers was directly involved in the design and development of the Heckler & Koch® HK45 and HK45C handguns and the Heckler & Koch® HK416 assault rifle, which was employed by Naval Special Warfare personnel to kill Osama Bin Laden and, along with multiple variants, remains in use by special operations forces around the world. Additionally, at the request of Lipsey’s® Distributors, Glock® has manufactured factory production, “LAV” serialized, Vickers Tactical Series Glock® G17 and G19 pistols built to his specifications. Beyond firearms development, Larry Vickers has developed numerous small arms accessories, the most notable of which are his signature sling manufactured by Blue Force Gear®, which is issued with the USMC M27 Infantry Automatic Rifle and authorized for use with the M4, M4A1, and M16 series weapons, and his Glock® accessories made by TangoDown®. Larry Vickers is the founder of Vickers Tactical® (www.VickersTactical.com) and travels the world conducting combat marksmanship classes for law abiding civilians, law enforcement and military personnel. In recent years, he has hosted tactical firearms related TV and streaming video shows, including TAC-TV and the Vickers Tactical YouTube Channel (www.youtube.com/user/VickersTacticalInc). James Rupley is a professional photographer, practicing attorney, hunter, fisherman, and amateur competitive shooter. A graduate of The Citadel (The Military College of South Carolina) and Tulane University Law School, he has practiced law in New York City and has served as in-house counsel for a retail and wholesale business. James is a co-founder of Mott Lake Publishing, has published six books on a wide variety of firearm topics, and has had his photography published in a multitude of publications. More information available at www.JamesRupley.com.